MedX Lumbar Rehab is a unique assessment and rehabilitation tool incorporating state-of-the-art technology. MedX measures your back strength and flexibility with computerized accuracy and compares your results to the normative data of a person of your age, gender, height, and weight without back pain. 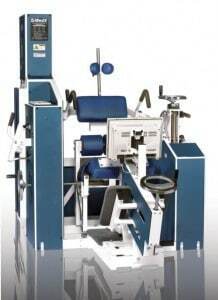 The MedX Medical Lumbar Extension Machine has been developed to isolate the muscles of the lower back so that rehab is performed by the muscles that need to be strengthened and not the ones that are still strong and will try to take over for the weak ones. If you are interested in learning more about MedX Lumbar Rehab, call the chiropractors at Alberta Back and Neck Rehab & Sports Injuries Clinic in Calgary to schedule a consultation.